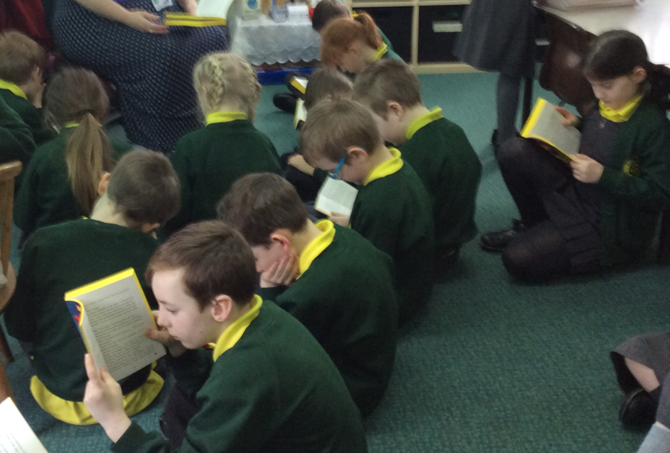 Our reading area is known as 'Calm Corner'. 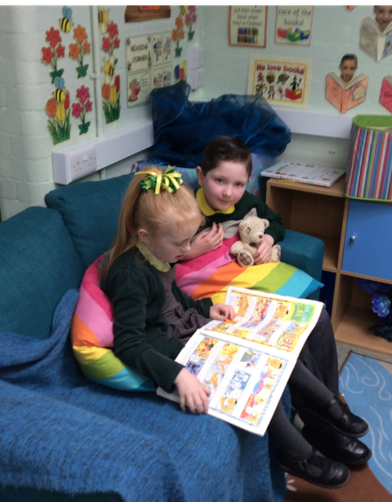 Here children can read quietly on their own or with a friend and they can choose from a range of books including recently purchased books chosen by the children. 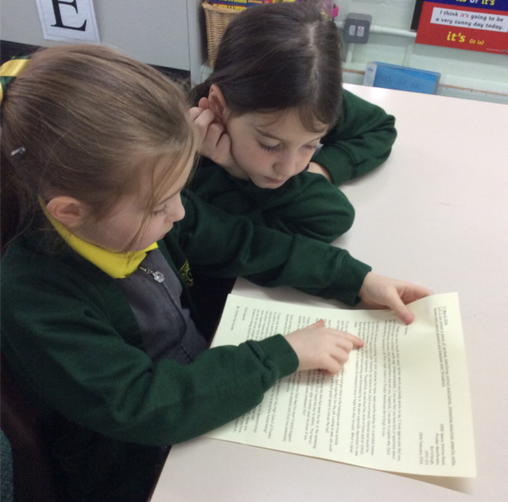 Reading is a focus for our school and children are encouraged to develop an enjoyment of reading.For this, they receive rewards which include ticks on a chart, Class dojos, prizes and certificates. 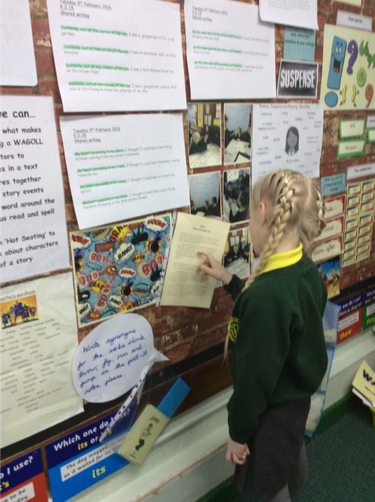 Children have the opportunity to read every day whether it's shared, paired, individual, guided reading or reading around the room. 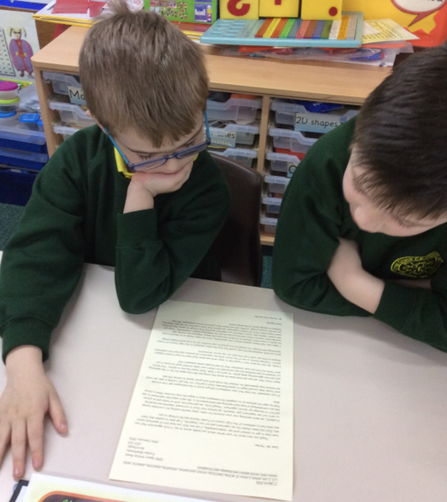 Together, we decided on purchasing a variety of books for our class library.